Anything that we can buy & Sell online. Now we have limitless opportunities to acquire but do not have a single podium to get all these things. In order to ease up the problem, we came up with a solution that will cover all your demands in one place. It offers a huge variety of items belonging to every age and taste. You just need to follow simple steps to get registration and after that, you find yourself in the bulk of everything. 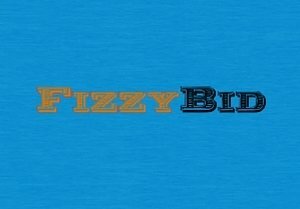 Fizzy Bid is not for a specific audience or culture. Here you can find the item and content for every age including children, adults, young, and old. Fizzy Bid has made shopping easy. People can buy and sell everything sitting on their chair or bed. Fizzy Bid has redefined the way of e-commerce and marketing. Buying and selling were never easy as they have made it. Have you ever experienced the glossy items and the gadgets you like most are just in front of your eyes? Fizzy Bid gives you an opportunity to select the items of your choice as they have various sellers. Simply, they have made shopping fun for everyone. Fizzy Bid has also provided a video to guide you. If you are feeling uncomfortable with the desktop or laptop, just get our app from Google play store. All you need is in your android phone. Every day a lot of people are coming to visit Fizzy Bid because of our competitive market value and quality products. Fizzy Bid has offered a very easy, seamless, and smooth process to buy or sell your items.